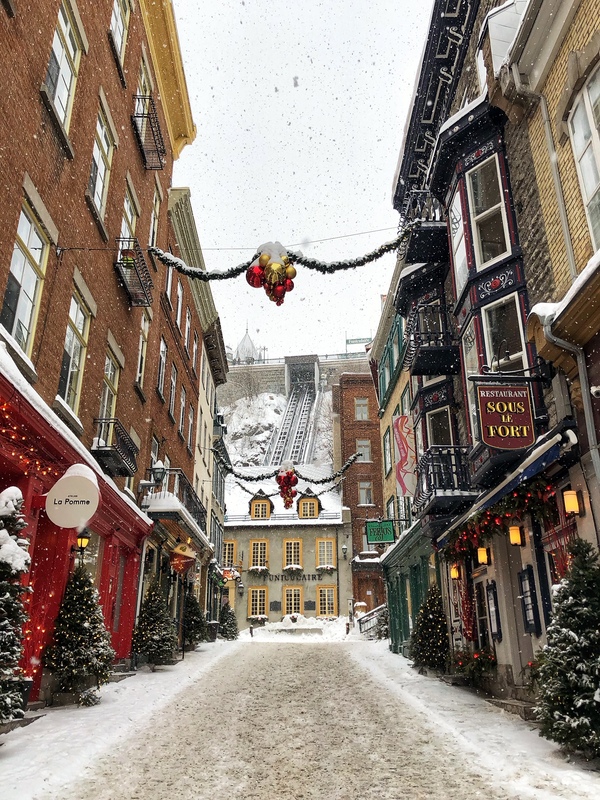 Quebec City is the embodiment of a winter wonderland! 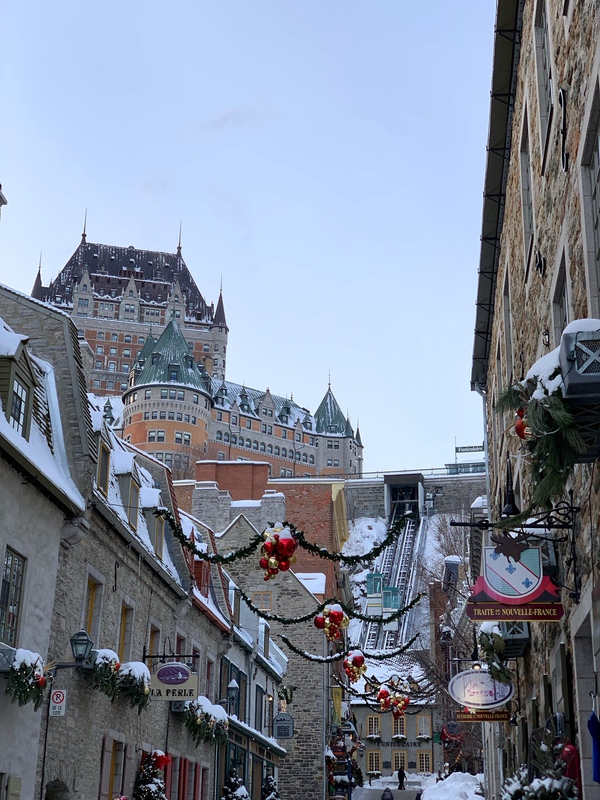 As I walked around Old Quebec for the first time, I could not get over its unbelievable charm. 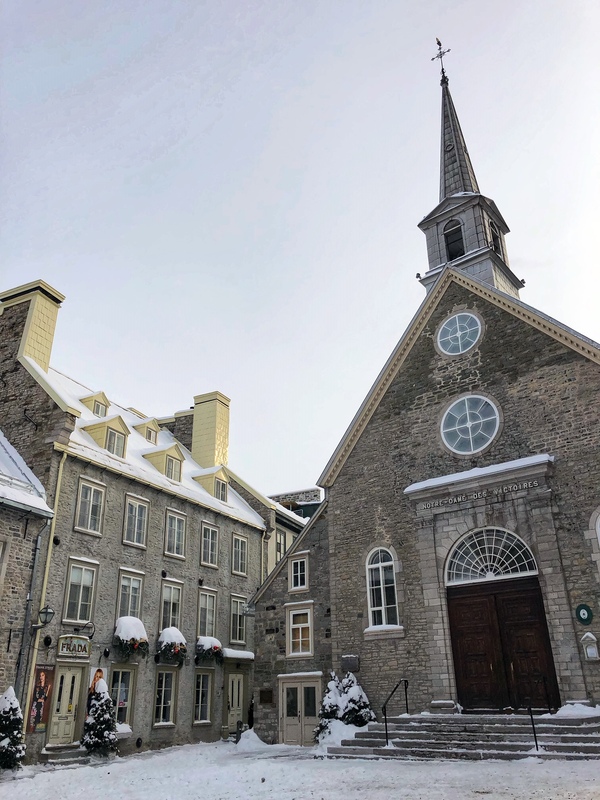 While we knew that planning a January trip to Quebec would be a cold getaway (…little did we know we would be there during record low temperatures, a snowstorm and have a cancelled flight! ), we still loved every minute. 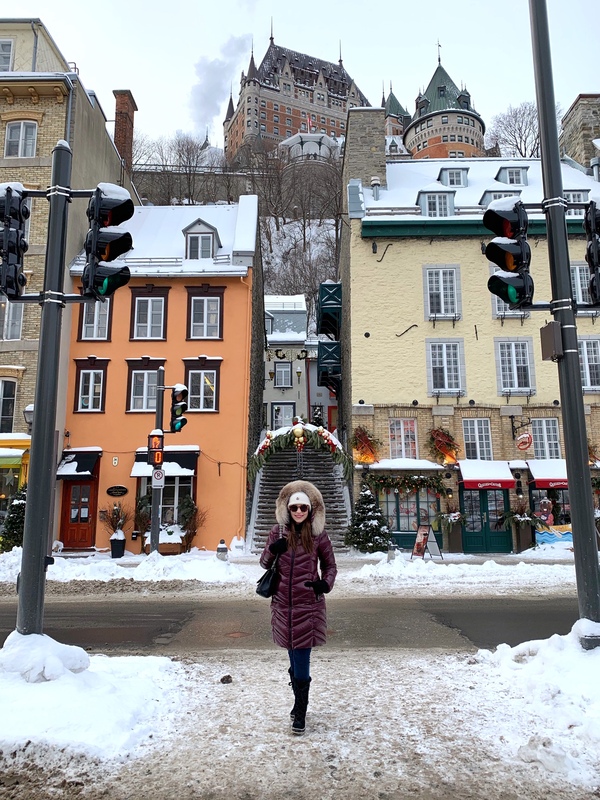 If you’re envisioning a snowy weekend full of aimless wandering, delicious food, and maybe even a little adventure, I’m sharing my suggestions for a trip to Quebec City! Oh, and don’t forget to dress REALLY warm and pack boots with good traction. The city has many hills and it gets very slippery! 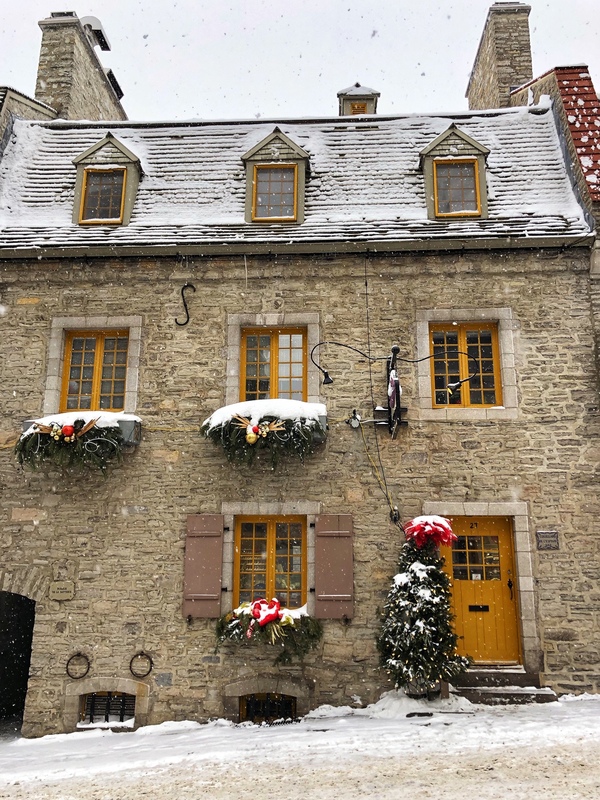 My favorite part of our trip was exploring Old Quebec. Wandering through Place Royal and Petit-Champlain was like being enclosed in a real life snow globe. Every corner was more charming than the last and even though we visited in January, everything was still decorated for Christmas! We loved popping in and out of the many art galleries and boutiques that line the streets and were inspired to snap photo after photo of its beautiful sights. 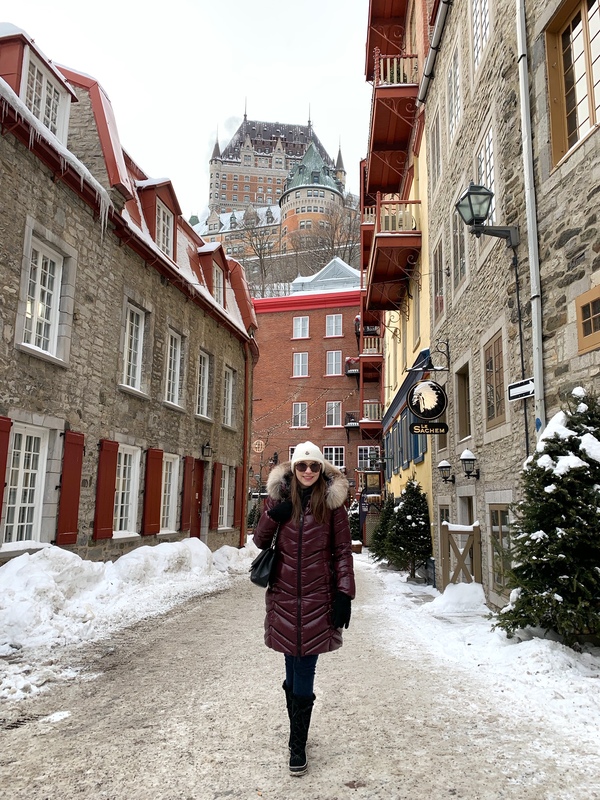 I’d suggest beginning your visit to Old Quebec by starting at the famed Fairmont Le Château Frontenac. 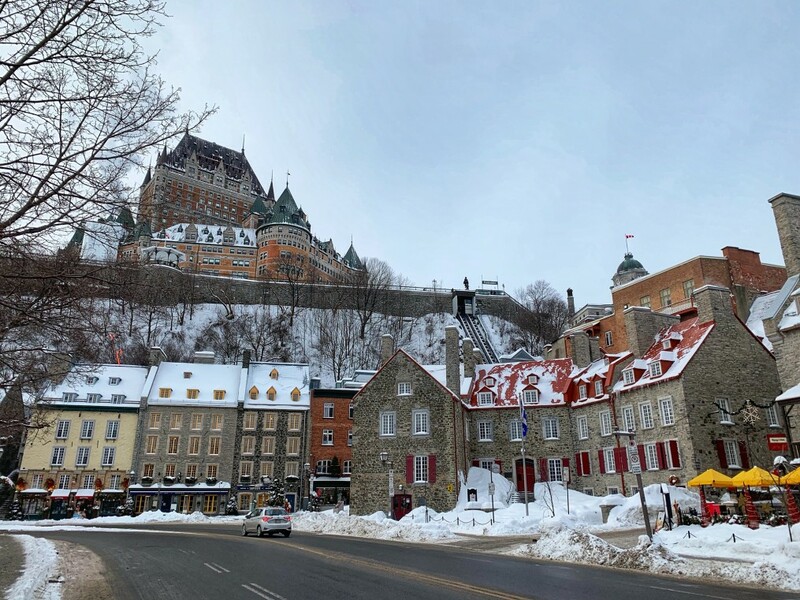 You can explore the beautiful historic property, take in views of the Saint Lawrence River, and then either use the “Breakneck Stairs” stairs or pay $3.50 and take the Funicular down to the lower part of the city. 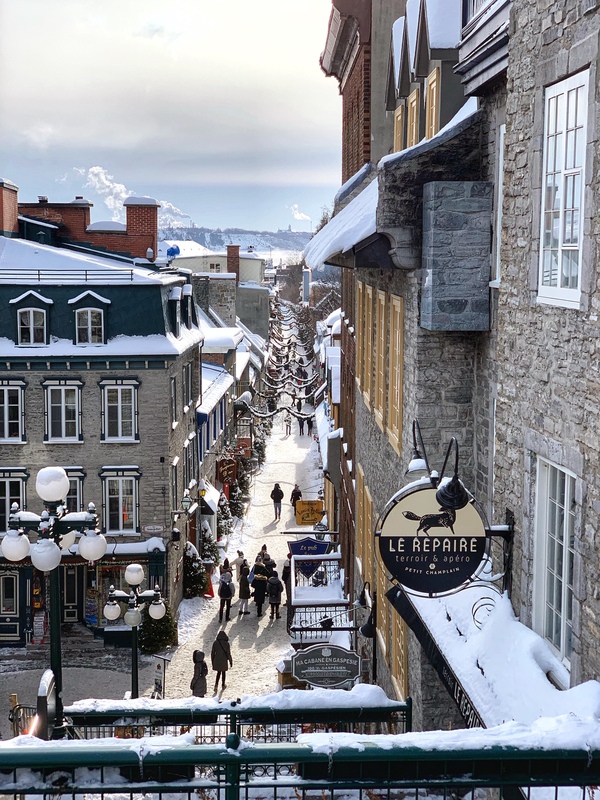 The lower city is where the majority of the quaint shopping streets and bistros are located as well as several warming stations, which are key in the winter. From there, head down Rue du Petit Champlain and then meander over to Rue Saint Jean. 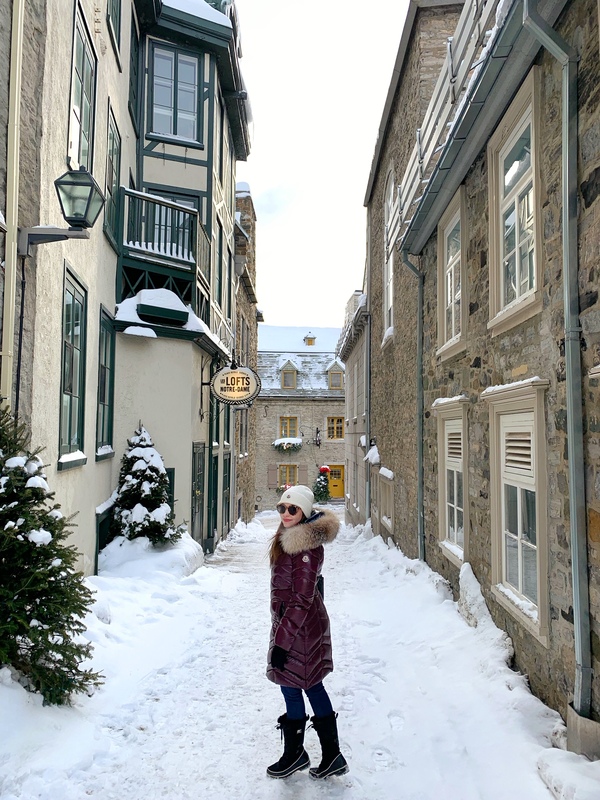 The best “classic Quebec City” photo spots are on Rue de Cul de Sac and Sous-Le-Fort. 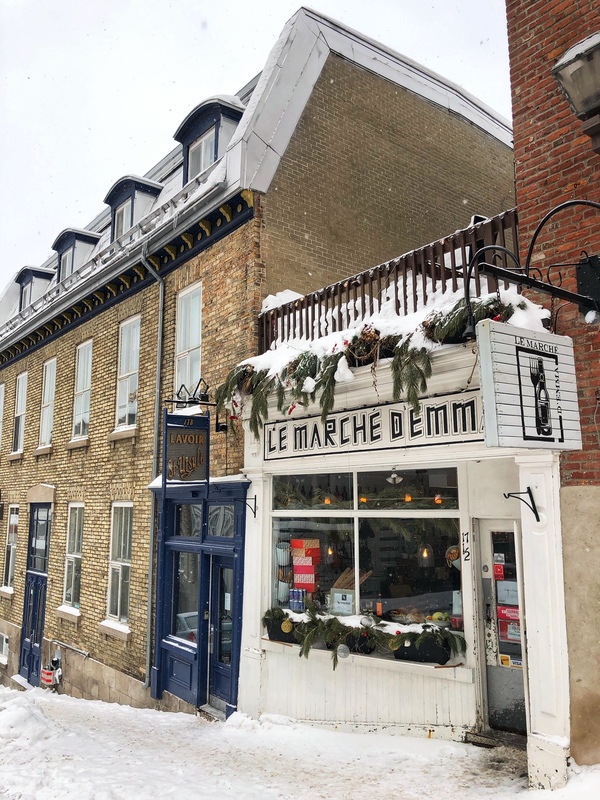 When researching where to eat during our trip to Quebec, I couldn’t get over all of the amazing restaurants. We finally settled on reservations at Buvette Scott, iX pour Bistro and Légende, all of which I would highly recommend. Buvette Scott was a small and homey eatery where each of the staff members took the time to get to know us by name and offer recommendations. The food was delicious and very unique! iX pour Bistro features nine tables, one chef, one server and no physical menu. The choices were limited, but outstanding, with the Foie Gras dessert (not as weird as you would think) being a major “wow” factor! Légende boasts a menu using only local Canadian ingredients. When we first sat down, I was hesitant about the menu, but we ended up being blown away by both the craft cocktails (they make their own flavored tonics!) and food. A few of the must-try classic dishes you have to order during your visit are Poutine, Maple Taffy, and cheese, lots of cheese! You can order poutine at most bistros and enjoy a variety of toppings on it; we had one with duck confit, which was fantastic. When the weather is favorable, several places in Old Quebec set up shaved ice stations outside their shops to make maple taffy. We especially loved the cheese board (and cocktails!) at the 1608 Bar in the Fairmont Château Frontenac, which was almost too pretty to eat. There is nothing like a day at the spa, especially when it’s in the middle of woods, surrounded by nature, warming fire pits, and outdoor hot tubs. 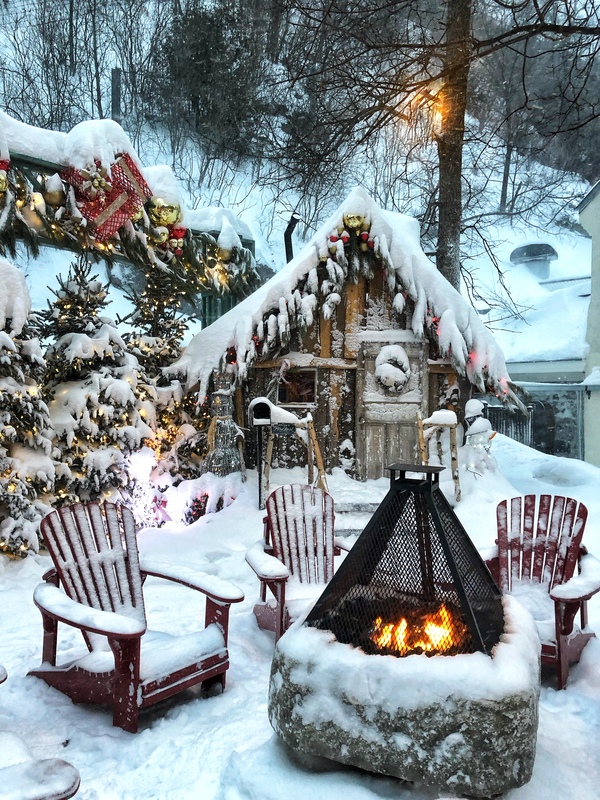 Located 30 minutes outside of Quebec City are several spas that focus on alternating between hot, cold, and rest for the ultimate relaxation and rejuvenation. Siberia Spa Station came highly recommend to us and it’s the perfect place to spend a winter afternoon. Choose to either just enjoy the spa grounds or combine that with your favorite massage therapy for the ultimate day of unwinding. There’s a cafe on site for food and drinks and in addition to the outside spa area, there are many indoor rooms with gorgeous scenic views. If the temperatures aren’t too frigid, dogsledding is a perfect way to enjoy the beauty of Quebec and its outdoor scenery. There are countless companies that offer one to multi-hour dog sled trips within a 30 minute ride from Quebec City. We chose Expédition Mi Loup for a one and a half hour dog sled trip, but had to cancel it due to below zero temperatures and high winds. While I was super bummed to miss this activity, in reality, it was unbearably cold and we would have been miserable. The sleds are made for two people and you take turns driving them after going through a pre-training with the team. We will be adding this activity to the list for next time! Located 15 minutes outside of Quebec City, if you’re a nature lover, taking a drive to see the gorgeous Montmorency Falls is a great way to spend a few hours. The falls are actually higher than Niagara Falls! There is a an aerial tram, a suspension bridge as well as several staircases you can take to enjoy various views of the falls, which depending on when you visit, may be very icy! The Falls are open year round and free to visit.